Most poetry pamphlets reveal something of their authors and contexts. There may be biographical notes, perhaps a list of previous publications, even a blurb to point the reader to what the poems are ‘about’. There may be endorsements from other poets, so you can see who they’ve been in contact with. The ‘Acknowledgements’ section comes in handy; it’s a clue to which magazines the author favours, which editors have picked this poet. At the very least you have the publisher’s address, so some geographical placing. The Mysteries has none of these, although it is willing to tell me it’s printed on Cairn Straw Cream (a very attractive paper) and that there is ‘A prize to the first person who solves it all’ —which, I guess, refers to the mystery running through the thirteen poems. But because this is an appealing tactile book, and numbered 65/150 (neatly, in turquoise ink), I’m going to look at it in the real world — so no online searching. 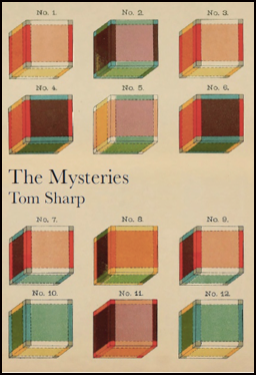 I may learn something from the twelve numbered cubes on the cover, identical in size but coloured differently; perhaps there will be clues in larger versions of some of these cubes printed among the poems. 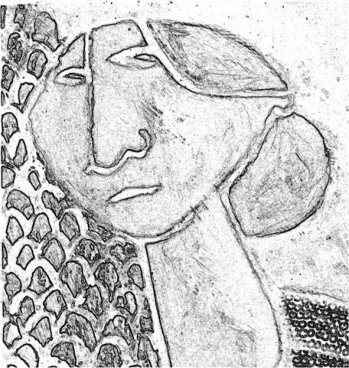 ‘Notes’, the fifth poem, is made up of fragmented notes from a murder scene. In ‘Cannock Chase’, each of the ten three-line stanzas begins ‘There was a murder here’. The language is rich with Dylan Thomas-esque echoes (‘In the churn of my childtime’, ‘I have a face of riverlost milk’). Never mind the answer, I still haven’t uncovered the mystery, although the playful tease of the poems has drawn me backwards and forwards through the text. That’s what mysteries do.